After teasing that they had been back at work on new material this past May, Tenacious D have lifted the curtain on a new album and accompanying animated series. 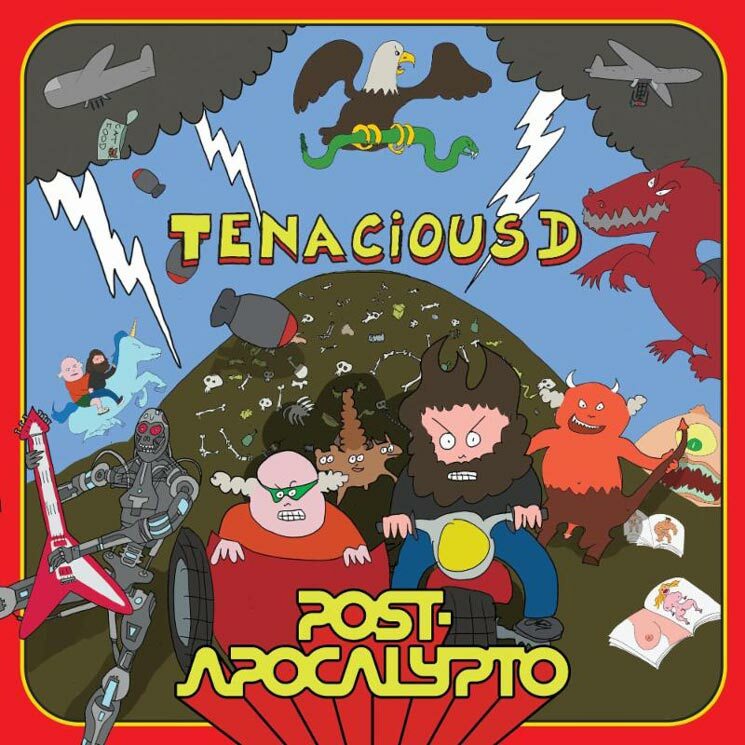 Both the album and video series are titled Post-Apocalypto. The 21-track album will arrive November 2 through Columbia, while the animated series will premiere September 28 through the duo's official YouTube channel, with a new episode arriving each Friday afterwards. All six episodes of the Post-Apocalypto series were hand-drawn by Jack Black, and feature himself and bandmate Kyle Gass voicing characters. You can watch a teaser for the series below. The series is said to find the pair "thrust into a world of complete and utter destruction following the drop of an atomic bomb," and features "unimaginable twists and turns, an insane visit to the White House, a time machine, a space adventure, and the help of some tried and true daddy issues." The Post-Apocalypto album, meanwhile, features Dave Grohl on drums and was produced by John Spiker. Tenacious D have also added dates in Calgary and Edmonton to their upcoming North American tour, having previously announced an appearance in Vancouver. You can find their current itinerary below.